My dad's birthday and Father's Day are one week apart, so coming up with gifts for him all in one little span of time can prove to be difficult. Not impossible, but difficult. Thankfully he isn't fussy and will gladly accept almost anything - but he especially favours anything food-related "that won't take up space around the house." 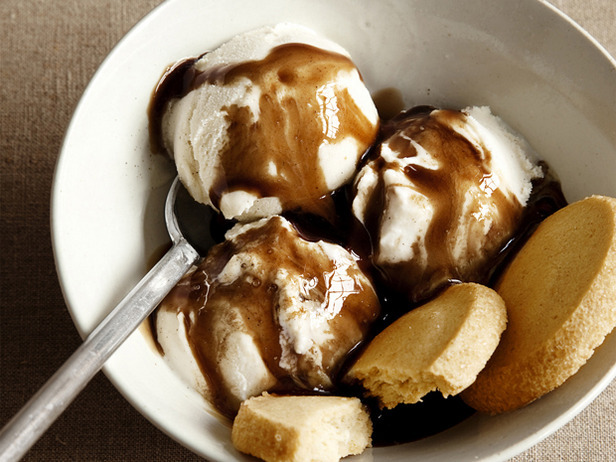 These Guinness Sundaes are what I'll be making for dessert on Sunday. Why these? Oh, I don't know, 'cause they're delicious? Also, if there's ever an opportunity for me to make some fancy new sauce, I will leap at that chance.